2 Hump for Permanent Installation with Cement Footings. 2 Hump Surface Mounted on Concrete Pad with anchor bolts. 3 Hump for Permanent Installation with Cement Footings. 3 Hump Surface Mounted on Concrete Pad with anchor bolts. 4 Hump for Permanent Installation with Cement Footings. 4 Hump Surface Mounted on Concrete Pad with anchor bolts. 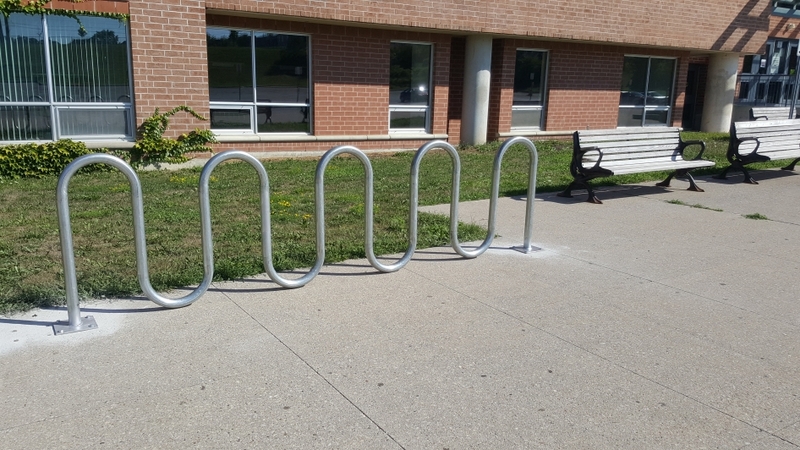 Surface Mounted on Concrete Pad with anchor bolts. 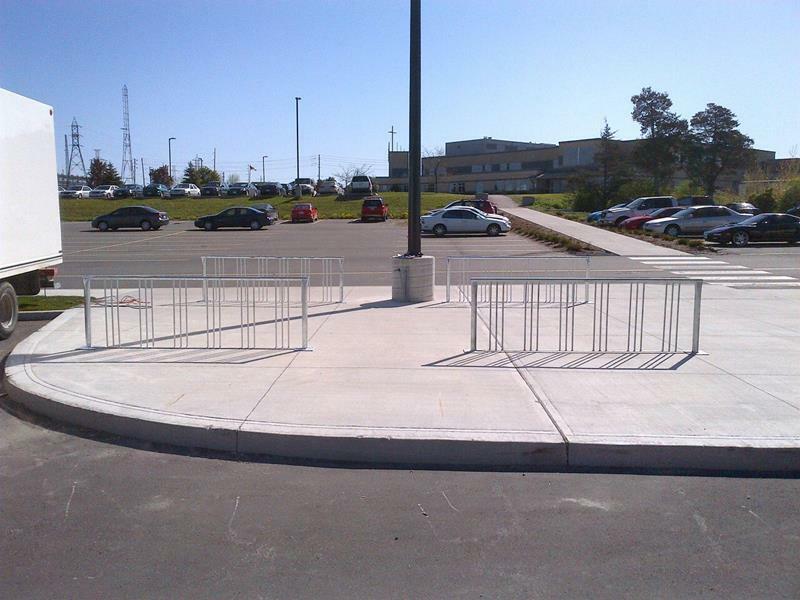 Fully welded Bent tubes designed to offer the strongest frame..
5 Hump for Permanent Installation with Cement Footings. 5 Hump Surface Mounted on Concrete Pad with anchor bolts. Curved Toe Board for Track and Field with mounting spikes. 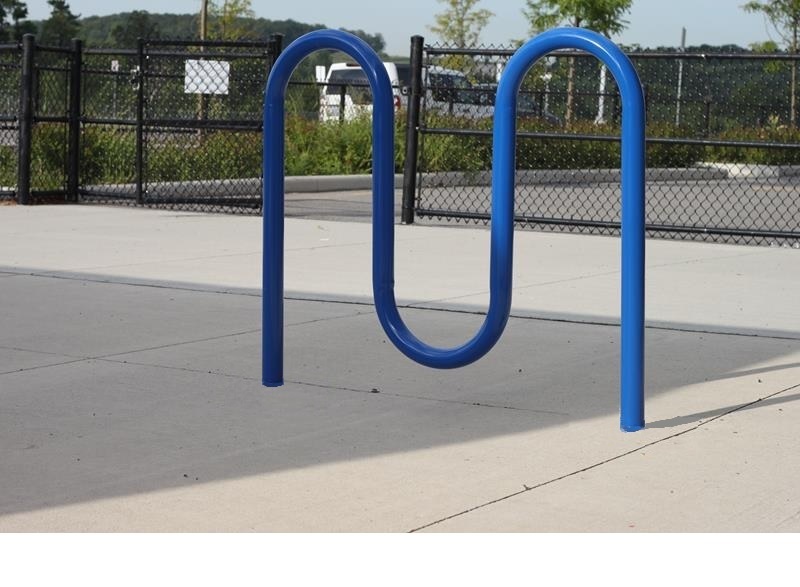 Vertical Picket Style Bike Rack with flush mount plate.